On 8-9 September 2015, the 1st DualSPHysics Users Workshop was held at the University of Manchester in the School of Mechanical, Aerospace and Civil Engineering (MACE). Using the CUDA programming framework, DualSPHysics has been developed jointly with the Universidade de Vigo (Spain), the University of Manchester (UK) and collaborators at the University of Parma (Italy), Technical University of Lisbon (Portugal) and Flanders Hydraulics (Belgium). As an open source and freely available SPH software package using graphics processing units (GPUs) DualSPHysics puts the power of mini-supercomputers in the hands of engineers using SPH in industry (Crespo et al. 2015). Since its release in 2011, the DualSPHysics software has been downloaded 1000s of times (www.dual.sphysics.org). With dedicated pre- and post-processing tools allowing intuitive use of input files and examination of the simulation results, DualSPHysics is now widely used around the world both in academia and industry. Until now however, much of the code’s developments and applications were decided solely by the development team. The 1 st DualSPHysics Users workshop has changed that. For 2-days, 35 people attended the workshop swapping experiences in their use of the code, identifying features and functionalities needed to be developed for the future. 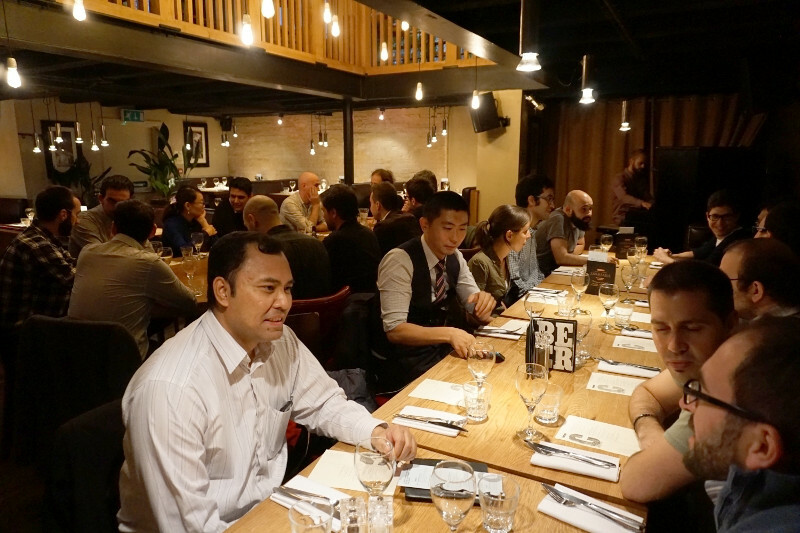 With industrial and university delegates coming from as far as South Korea, Brazil and Malaysia, the event was a truly international meeting of SPH users and developers. Day 1 opened with talks describing the history of DualSPHysics, and the structure of the code by Dr George Fourtakas, and new state-of- the-art developments on variable resolution and boundary conditions by Dr Renato Vacondio. This was followed by two sessions of presentations on applications and new code development of DualSPHysics by users. 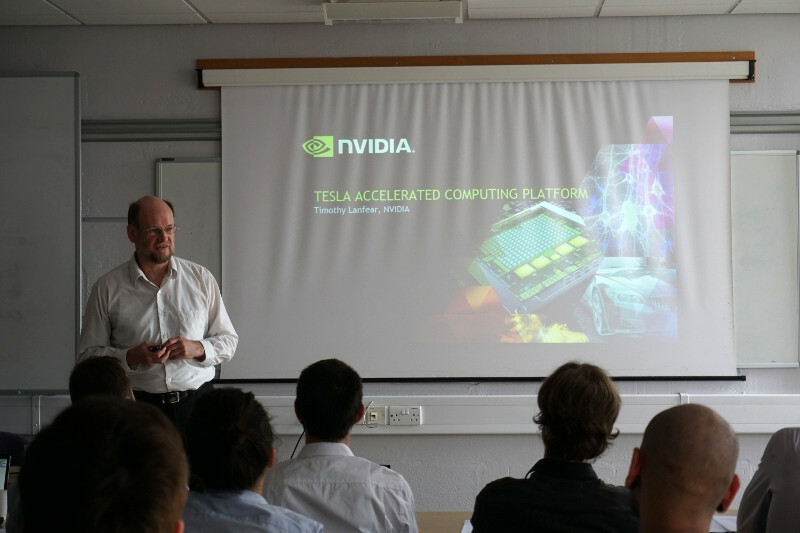 In the final session, Dr Tim Lanfear from NVIDIA talk provided an insight into their future strategy of development for acceleration devices such as GPUs (see Figure 2). Day 1 finished with a discussion session and an evening meal discussing all things SPH and DualSPHysics related (see Figure 3), including multi-phase flow. Day 2 continued with talks of new developments by the developers of multi-phase features scheduled to appear in version 5 of DualSPHysics including air- water by Dr Athanasios Mokos, water-sediment by Dr George Fourtakas and the coupling of DualSPHysics with the discrete element method (DEM) by Dr Ricardo Canelas. To finish the workshop, Dr Jose Dominguez provided an insight into the optimisation that accelerates DualSPHysics on GPUs followed by Dr Anxo Barreiro on pre- and post-processing. With the success of the first workshop, the 2 nd DualSPHysics Users Workshop is already planned for 13-14 September 2016.